Connect SMA Male to PCB Solder. One side of the cable is SMA Female and the other side is bare cable. 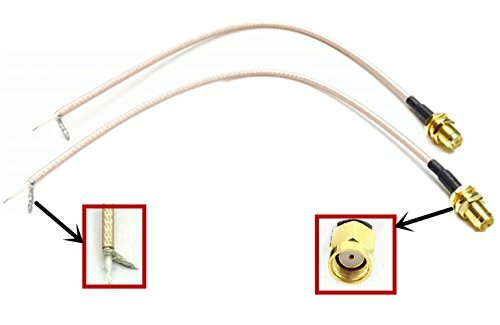 Consisted of high quality RG316 cable, high temperature resistance, acid resistance, corrosion resistance, high frequency low loss and low impedance, to ensure high quality communication. If you have any questions about this product by Lsgoodcare, contact us by completing and submitting the form below. If you are looking for a specif part number, please include it with your message.